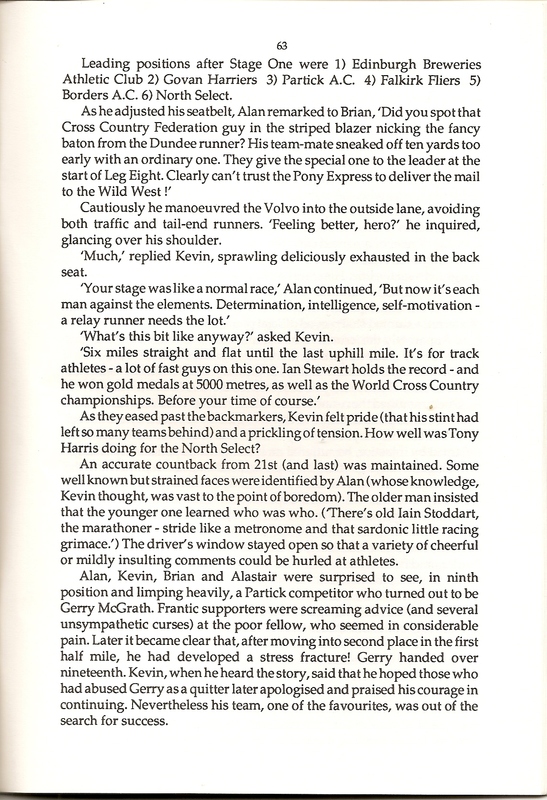 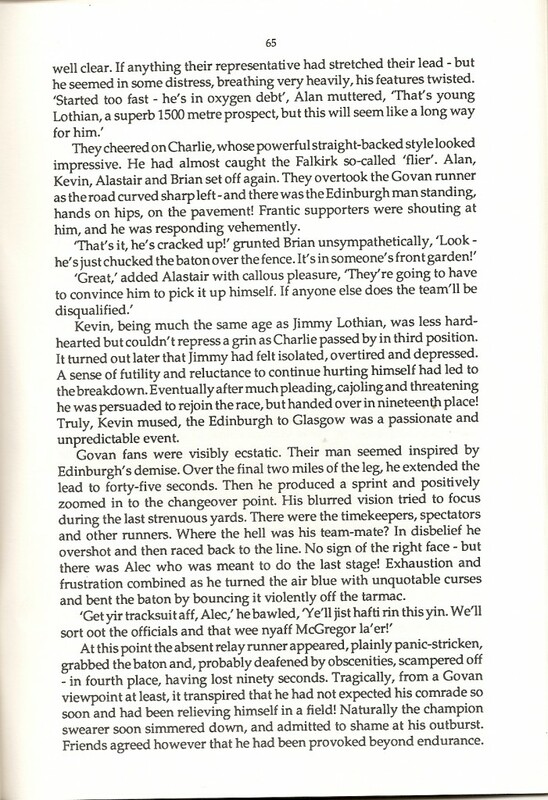 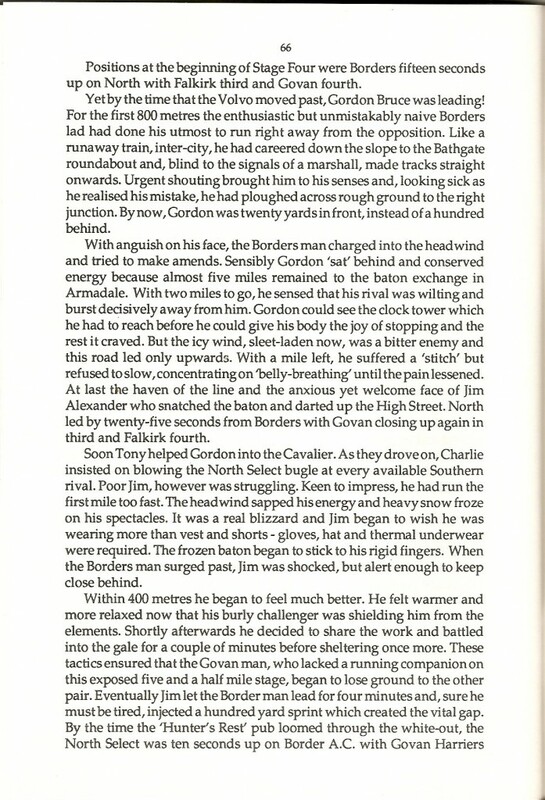 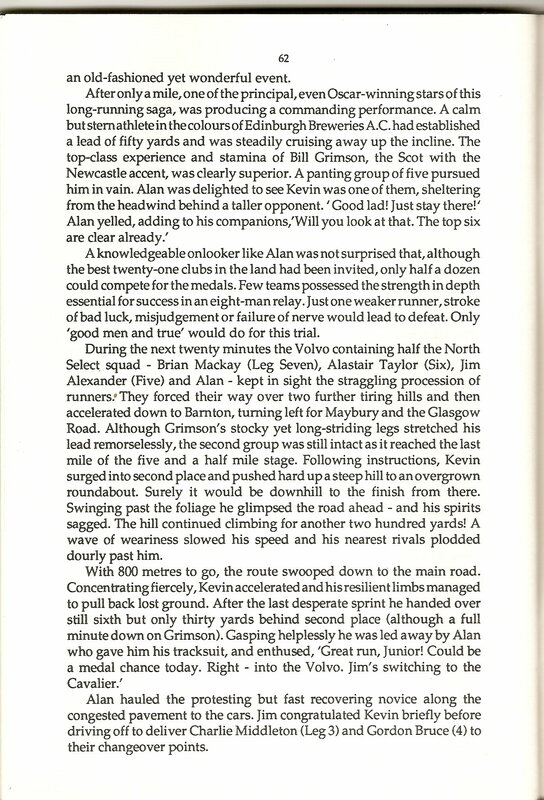 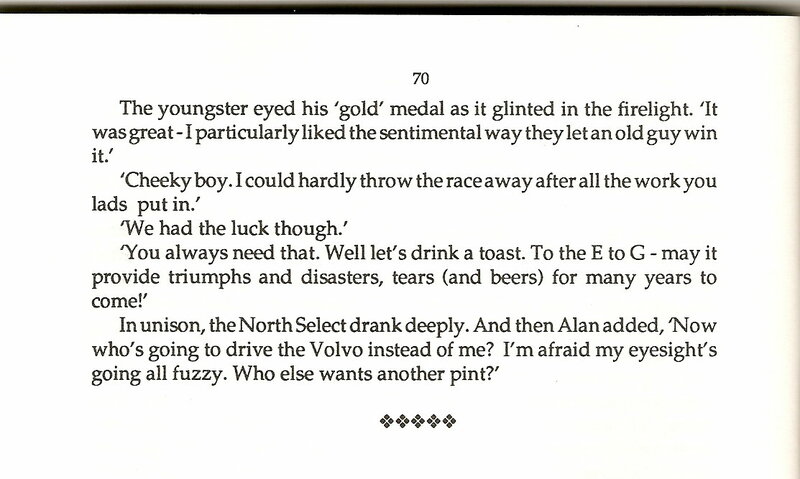 The short story printed here is by Colin Youngson who was a first class runner with a wonderful athletics pedigree. 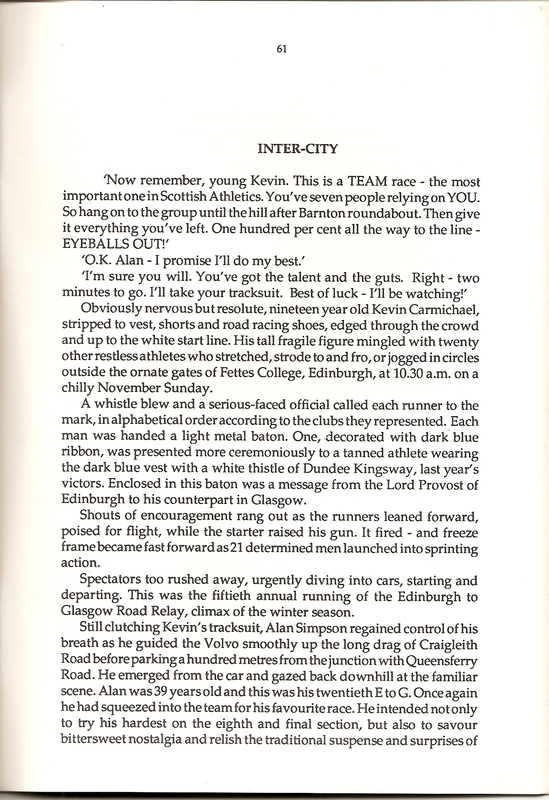 The statistics speak for themselves with one victory in the Scottish 10 Miles Track Championship and no fewer than three marathon championships to his name with a pb of 2:16:50. 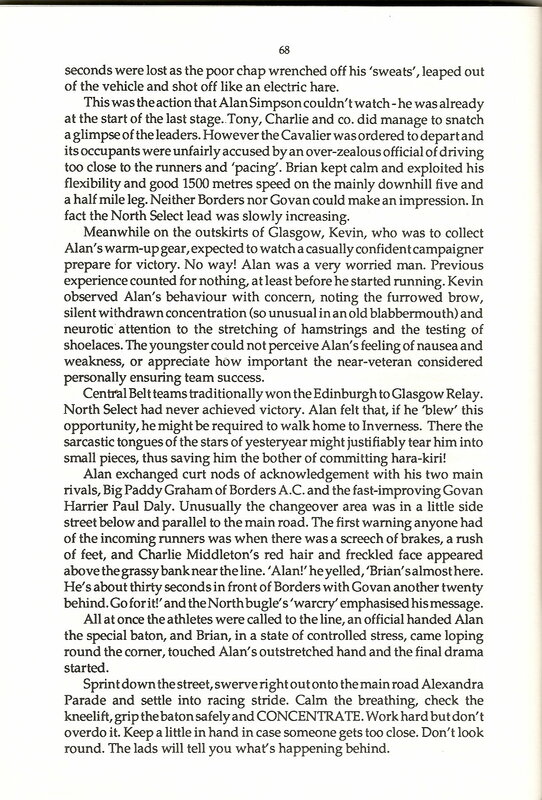 In the Edinburgh to Glasgow Relay he has run in no fewer than 30 (yes, THIRTY!) 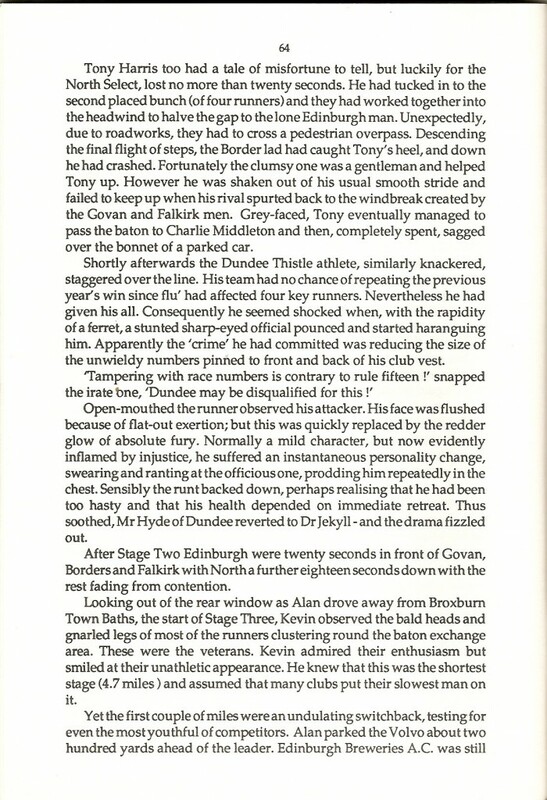 covering all stages but the seventh. 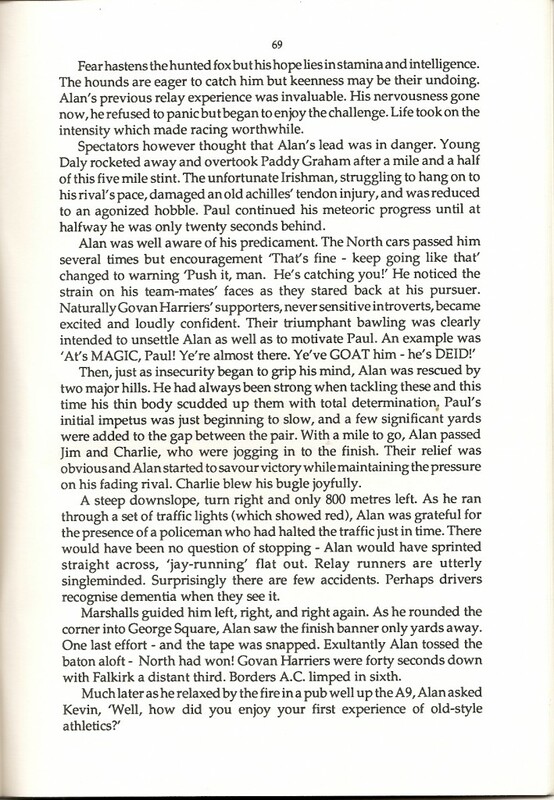 He did cover the ground of the seventh when he raced the straight through E-G in 1984 when he was third finisher after the whole 50 miles of it. 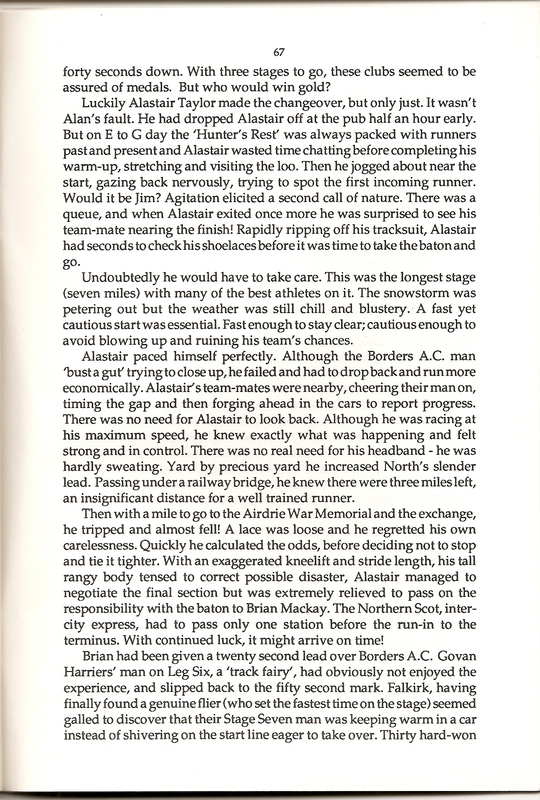 I asked about his best runs – a stupid question admittedly after 30 races on seven different stages in varying weather and against serious opposition – but he came up with the following which I quote directly.